Cryotherapy is one of the most recent therapeutic concepts that have been introduced in the beauty and sports industry. The reason is you only need to stand in a cryotherapy chamber for three minutes to enjoy numerous health benefits like reduced inflammation, rapid calorie burn, relief for pain and treatment for migraine headaches, among others. Fitness experts, athletes and celebrities have taken to this trend. So, if you have a spa, gym or other idle space and are looking for ways to earn additional revenue, setting up a cryotherapy chamber is an excellent idea. Here are the benefits of starting one. Unlike other fitness spaces like spas and gyms, a cryotherapy machine requires relatively small areas to set up. If you have a 10×10 idle space, you can set up the equipment. The space can be smaller (5×5) if the nitrogen dewars are fitted in a separate room and attached through the wall. Of course, you need to ensure that the space is well ventilated. If you don’t want to set up the chamber, you can hire a cryotherapy device from Crypaction for medium or long-term use. And, if you are planning to set up a permanent facility, CryoAction offers fixed chambers for sale or lease. The company also provides transportable chambers, which have all the necessary components required for the treatment. Cryotherapy makes a great add-on to the main products you may be offering in a fitness facility. Since it is light therapy, it is affordable and complements other fitness products you may be providing. Setting up cryotherapy chambers is somewhat cheaper than other fitness equipment. You only need to buy the chamber, an exhaust fan and the liquid nitrogen dewars. Additional expenses include renting the liquid nitrogen dewars and the installation cost. You also need to refill the liquid nitrogen on a monthly basis (based on the usage). The average sized chamber (230L) runs for 28-33 sessions for 1-3 minute treatments. The beauty of running a cryotherapy business is that its revenues are higher than those of gyms, spas or other fitness facilities. And, if you have set it up in a high-traffic area, you are likely to recap your initial investment within the first 17-20 weeks. 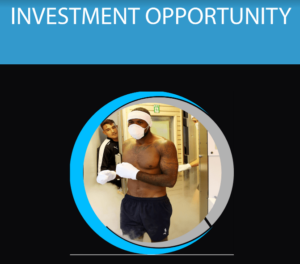 Cryotherapy facilities also require minimal maintenance, which further reduces the recurrent expenditure. The walls are non-electric and use an adjustable platform made of cryogenically foam pads that minimise the probability of failure.